These last few weeks of hunting for a new apartment have squeezed my schedule and I finally got a chance today to give my aquascapes a good trim, which took the better half of two hours. 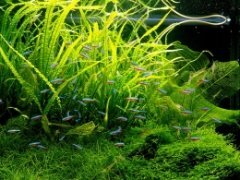 Overall, I tend to be on the low end for hours per week I devote to aquascaping. Usually I spend anywhere from an hour to two hours per week on my 2.5 tanks (one is less than a gallon). 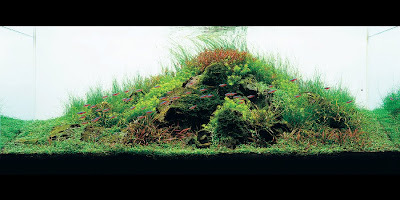 I think many people have an inflated sense of how many hours per week it takes to maintain a decent looking aquascape. How many hours per week do you spend on your aquascapes? About 20 mins for just wc and algae scrubbing each week for one 60-litres. Up to 1 hour if pruning and filter cleaning is involved. Rescape about 4-8 hours once every half year or so. I My tank looks great and I only spend an hour a or two a week on it. Many times it because I enjoy it and go gaga over every thing. Every siOnce a year I also spend about 3-4 hours on my tank with my son. We are two and it takes that long. But it's all worth it.